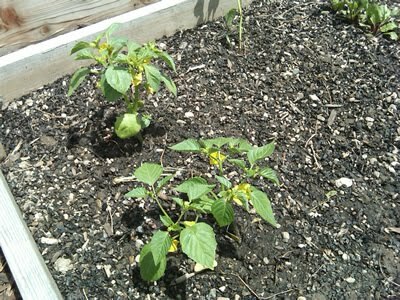 I planted the tomatillos on Friday May 21. Luckily it became sunny on Saturday and then lots of rain again. Today was a sunny day and they look very happy. I look forward to trying some recipes later this summer!